James Jock registers assist on lone Newark goal. 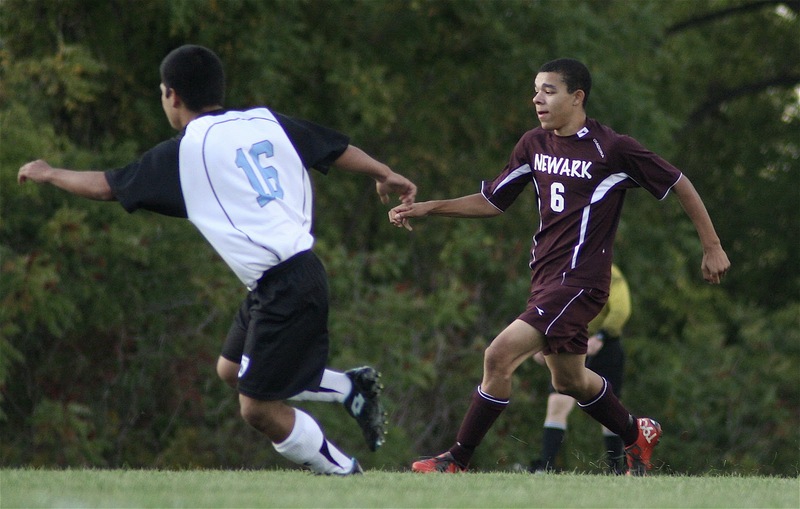 The Newark boys’ soccer team posted its fourth win of the season on Tuesday, edging Marcus Whitman, 1-0. The Reds grabbed the lead seven minutes into the game when James Jock hit a pretty corner kick to the box that matt Sittig headed in. Omar Jaohar had nine saves for Newark to preserve the shutout, with Vicente Andrade again proving to be extremely valuable on defense, with abundant support from Derick White and Eric Diamond. The Reds take their 4-6-1 (4-4-1 league) record to Waterloo tonight. We'd love to list your game results, too. Just send a note to johnaddyman@waynecountylife.com, includes stats, details, and a quote or two and we'll take care of the rest. 0 Comments to "WAYNE COUNTY SPORTS WRAP FOR OCT 7 10"